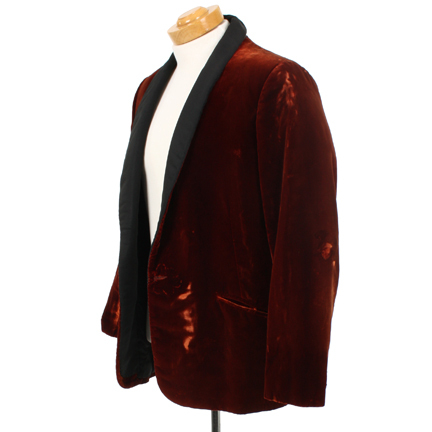 This velvet smoking jacket was a signature piece worn by the character Jim T. West as portrayed by Robert Conrad in the Emmy award-winning CBS television show “The Wild Wild West”, which ran from 1965–1969 and also starred Ross Martin. 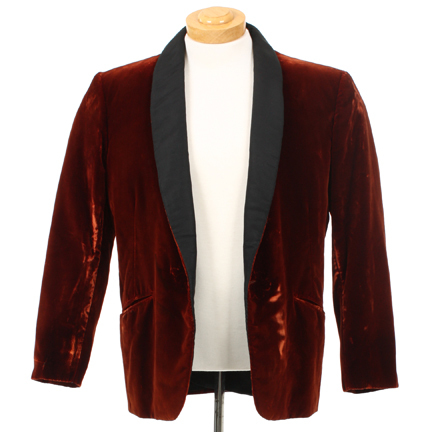 This jacket is constructed of rust colored silk velvet material and silk file lapel. 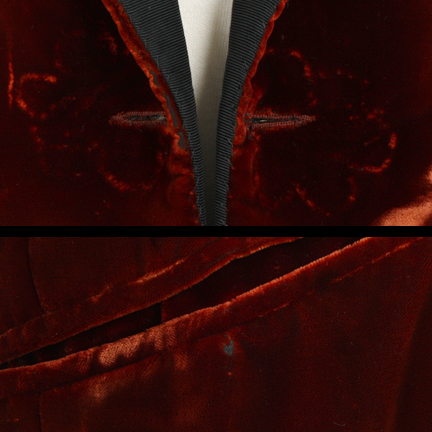 The front of the garment exhibits evidence of frog closure which was removed for use in a subsequent production. 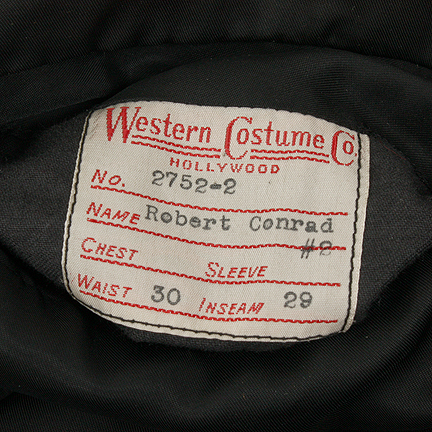 Internal Western Costume label typewritten “2752-2 Robert Conrad #2 [waist] 30 [inseam] 29”. 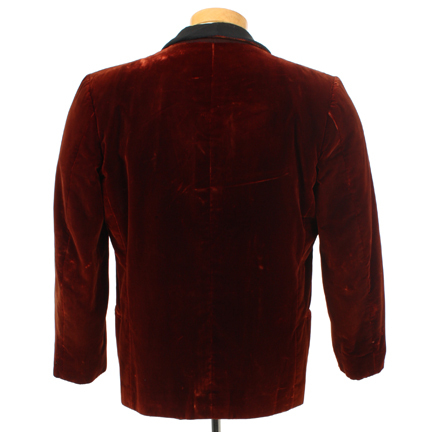 The jacket was worn in various episodes of the series and was utilized regularly in scenes aboard his private railroad car. 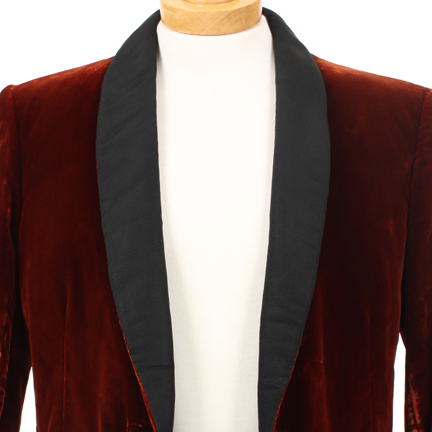 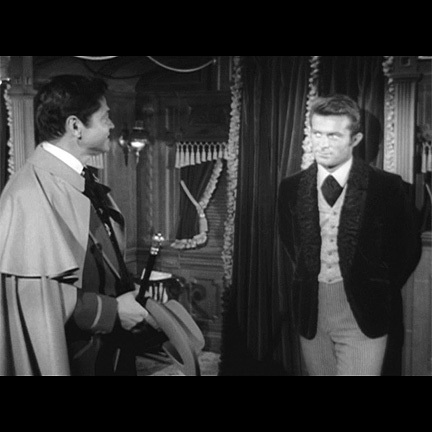 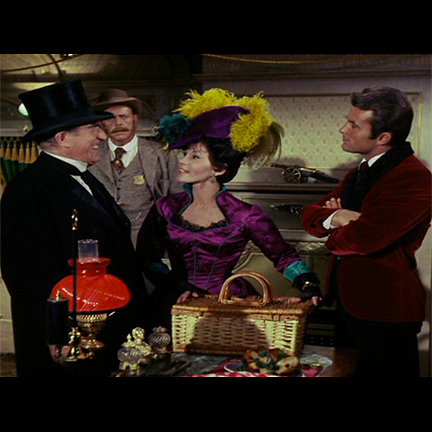 While there are numerous examples of Conrad’s full suits, this smoking jacket is also an iconic look for his character. 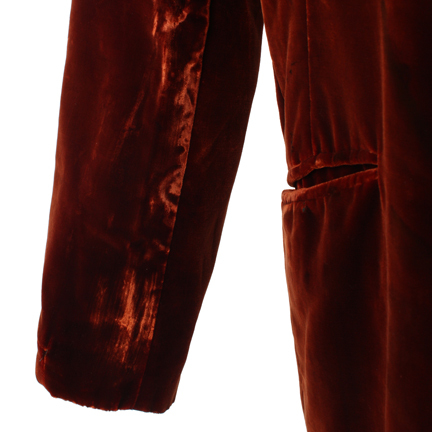 Featured in Danny Biederman’s book The Incredible World of SPY-Fi, and on display in the SPY-Fi traveling exhibit, which has been touring U.S. museums since 2000.